If your choice of daily paper is one of the many right leaning titles on offer, you may be forgiven for thinking that the coverage of the new inquests into the death of 96 Liverpool fans at the Hillsborough stadium disaster of 1989 was of little significance. The Sun led with Clarkson - who just happens to be a Murdoch columnist - with the Telegraph favouring another political donation story. The Times leads, laudably, with an item on child mental health, but devotes its second choice headline to, yes, Clarkson. The Mail celebrates the possible further erosion of benefits, while the Express - well, the Express just says we should all walk a little more. Even the Labour-supporting Mirror splashes on, you guessed it, Clarkson. Only the Independent and Guardian lead on yesterday’s events in Warrington. That looks like a serious omission. Because when former Chief Superintendent David Duckenfield, who was Match Commander at the fateful game, took the stand, he “admitted that, as the disaster was happening, he lied about a crucial order he gave to open a large exit gate and allow hundreds of supporters in”. This was the Leppings Lane end exit gate, which at the time Liverpool supporters were accused of forcing open. Moreover, “He also admitted he made a serious mistake on the day in not thinking about where the supporters coming through the opened exit gate would go when they were inside the stadium. Duckenfield acknowledged that hundreds of them went straight down a tunnel facing them, which led to the overcrowded central pens of the Leppings Lane terrace, where the lethal crush happened. He also accepted it was a mistake not to have closed off that tunnel to direct fans away from those pens”. Worse, Duckenfield “has admitted lying to former FA chief executive Graham Kelly about the opening of the gate at the ground” and had “told him the gate to the ground had been forced by Liverpool FC fans”. This then became the accepted narrative, and its was against this that the families and friends of the dead had to fight. To hear Duckenfield make his admission was a watershed moment for those at the Inquest. 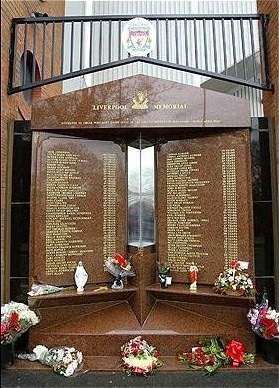 What made the occasion bittersweet, of course, was that so many of those who have fought for justice for the 96 did not make it this far. All of this was broadcast prominently on yesterday evening’s news bulletins. But so many of the papers have shunned the events. And one paper’s omission is particularly egregious. The Sun - yes, the paper that is still persona non grata across swathes of Merseyside - made no mention of Hillsborough in its editorial today, despite recent public apologies. And its editor at the time, the deeply unsavoury Kelvin McFilth, also made no mention of the tragedy in his column today. Put alongside the dignity shown by the relatives and friends at that inquest, that speaks volumes about the attitude of the Murdoch daily tabloid. David Duckenfield faced reality yesterday, and owned up. The Sun decided not to.